What is the Price per Square Foot to Build a House in BC? 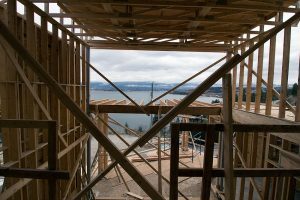 One question we get asked a lot it is “what is the price per square foot to build a house in BC?” – Unfortunately the answer isn’t so simple today. Back in the 70’s and 80’s it was much easier to quote a project on a price-per-square-foot basis, mostly because the costs varied so little from home to home. Usually in a given region, the exterior finishes were similar, there were only a few bathroom fixtures and tubs to choose from, and the kitchen options were all pretty cookie cutter. In fact, it’s the reason so many homes in those decades looked so similar – they were similar. House plans today are much more complicated, and there’s more variety than ever. For this reason, your price per square foot to build a house in BC for a basic bungalow with standard appliances and average finishes is much different than a house with comparable square footage that uses granite counter tops, custom cabinets, an open floor plan with support beams, 19 foot ceilings, a rooftop deck, etc. Square footage is a lot less important to the price than the actual finishing work that goes into it. Just look at the exterior of homes today. They can feature brick, stucco, vinyl siding, hardy board, cut stone, faux stone, and more. All will change the price accordingly. Your average master suite today may just have a simple shower – but even that isn’t so simple. Will that shower have glass doors, or use a curtain? Will it be large enough for one person, or include a bench area? What about the type of shower head? Do you want a rain shower from the ceiling or will a simple shower head from a department store do? 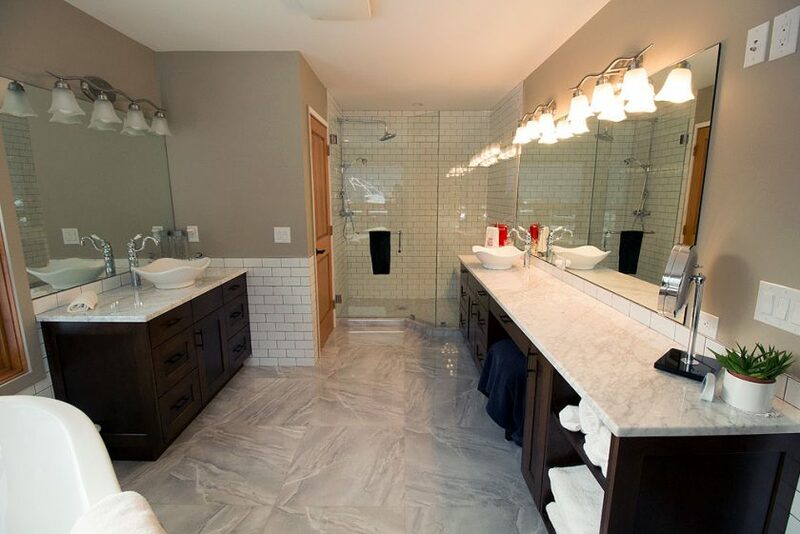 Beyond those choices, you also have to consider whether your master bath will have his and her sinks? What about a Jacuzzi tub? Are you going to tile, use wainscoting, or just a flat paint? All of these choices will affect your price per square foot to build a house in BC. Every decision you make in every room of your home will effect the price per square foot. So how do you determine what your price per square foot to build a house is? The best option is to speak with your home builder. Having a budget in mind will help you determine what you can get, and how that will affect your home. Once your builder knows the type of home you’re going for, they can help you with pricing and planning. Most homeowners prefer to design a house layout around their needs first, and pick the finishing look after. If your budget is tight today, you can always upgrade the bathroom later – but changing the layout of the home is much more complicated. Your actual costs will be determined by your choices. Even a simple choice like the type of heating and cooling can affect costs. Geothermal? Forced air? 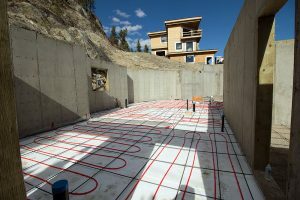 What about in-floor heating? We’d love to offer an easy-to-use calculator to help you with your pricing, but there are simply too many variables to consider. If you’re looking to determine how much your dream house will cost per square foot, contact us and we’ll be able to give you more information what will impact your price, and how to keep costs under control.